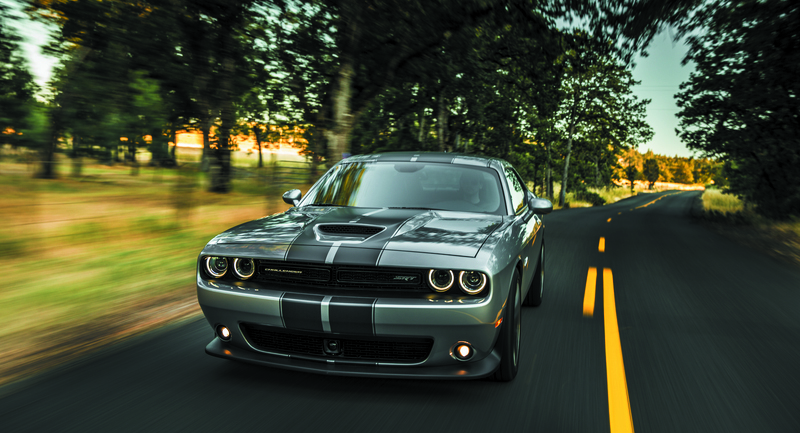 The Dodge Challenger Hellcat breaks all kinds of statistics and tests. It is one of the most powerful cars on the market and is priced under $65,000. Produced by Dodge, a trusted American brand, and backed by a fierce reputation, the Challenger is the perfect car for speed or muscle car enthusiasts. After years of dormancy, the Dodge Challenger was reintroduced to the market in 2008. Unlike today's Ford Mustang and Chevy Camaro, which look much different than their first generation designs, the look of the third generation Challenger was largely inspired by the strong features present in the 1970 Challenger. Comparing horsepower and dollars. The 2016 SRT Hellcat, starts at $64,195, and produces 707-horsepower. The 2016 Ferrari 488 Spider costs around $275,000 and only gets 688-horsepower -- that’s 19 horses less and four times more expensive! The Hellcat Challenger has a top top speed of 199 MPH, making it one of the fastest production muscle cars in the world.